Many people are still washing their skin with soap made with water. Switching to soap made with raw goat milk can truly benefit your skin’s health. Goat milk soap is wonderful for people with dry or sensitive skin, or conditions such as eczema and psoriasis. It is also perfect for healthy skin that wants to stay that way. Unprocessed, raw goat milk fresh from the farm contains the following benefits. 1. Alpha Hydroxy Acids. Goat milk contains alpha-hydroxy acids such as lactic acid which help remove dead skin cells from your skin’s surface. This leaves new cells on the surface of your skin that are smoother and younger looking. The alpha-hydroxy acids are so effective because they break down the bonds that hold the dead skin cells together. Removing dead skin cells will help many skin conditions by removing irritation. Water-based soaps may use harsh chemical acids to accomplish this, frequently with skin-damaging results. 2. Vitamins. 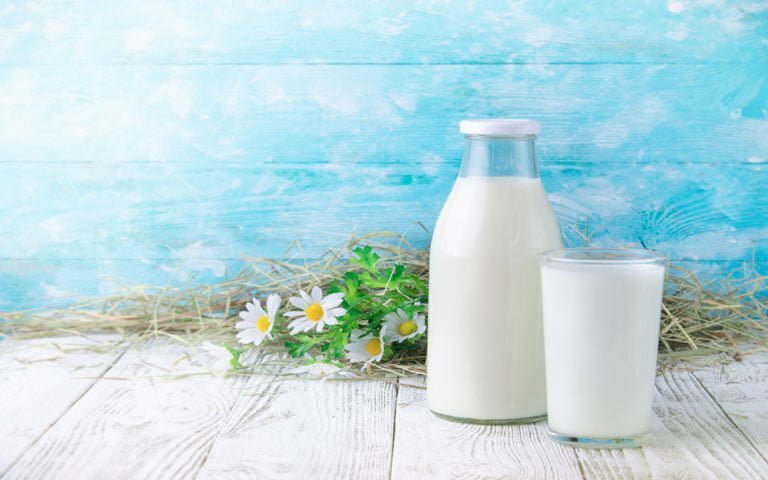 Goat milk contains many vitamins, but is particularly high in Vitamin A, which is necessary to repair damaged skin tissue, and maintain healthy skin. There have been several medical studies showing that creams made with Vitamin A reduce lines and wrinkles, control acne, and provide some psoriasis relief. Water-based soaps can be artificially fortified with vitamins, but most aren’t. 3. Cream. Fat molecules are an important part of making good soap. The cream that is present in goat milk helps boost the moisturizing quality of goat milk soaps. Since many people suffer from dry skin, particularly in the winter months, this is an important quality for soap. Goat milk soap will not dry your skin out like many other soaps. This is important because keeping skin naturally moisturized helps keep skin healthy. 4. Minerals. Goat milk contains important minerals for the skin such as selenium. Selenium is believed by scientists to have an important role in preventing skin cancer. Selenium can also help prevent damage to the skin from excessive time in the sun. Although the water used in other soaps may contain minerals such as calcium, sodium, or iron (commonly found in tap water), that’s not much help when it comes to your skin. Regardless of whether your skin is healthy or not, it will certainly benefit from using a handmade soap, made not with water, but with unprocessed, raw goat milk fresh from the farm. If you’re unsure where to begin, check out our unscented Goat Milk Soap (if you have trouble skin) or our most popular Oats and Milk, Honey and Milk or Oatmeal, Milk and Honey Soaps that contain goat milk. Also a very big hit of this spring is Handmade Body Lotion “Honey, Oats and Milk” that has in itself Goat Milk as well. This entry was posted in Best Sellers, Body Care, News, Soaps and tagged benefits of goat milk, buy goat milk, dairy goats, goat milk, goat milk baby formula, goat milk benefits, goat milk cream, goat milk for babies, goat milk formula, goat milk formula for infants, goat milk infant formula, goat milk lotion, goat milk powder, goat milk products, goat milk soap, goat milk yogurt, goat soap, goat yogurt, goats milk for babies, goats milk for infants, goats milk formula for babies, goats milk soap base, milk soap, milking goats, organic goat milk formula, powdered goat milk, raw goat milk, where can i buy goat milk, where can i buy goats milk, where can you buy goats milk, where to buy goat milk.